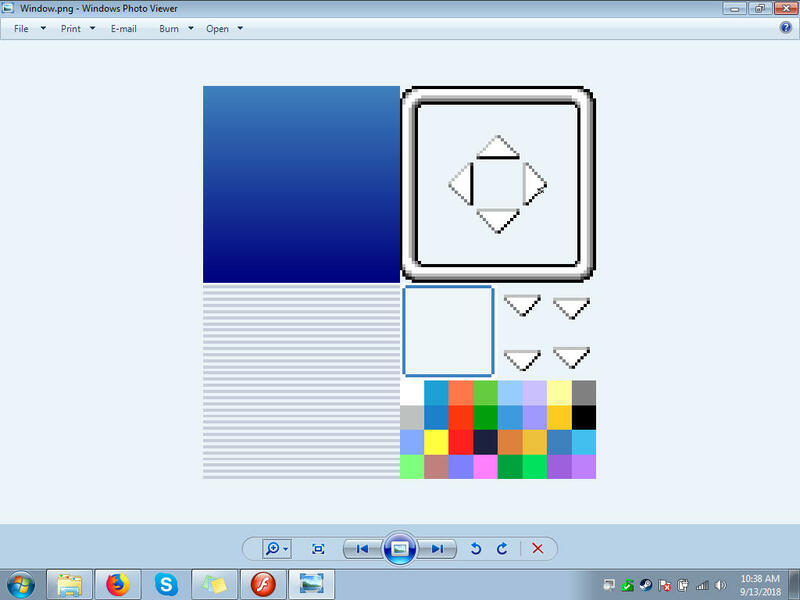 RPG Maker XP What Are These Color Codes? I was looking at Pokémon Essentials (I got the free trail of XP to look at what it had) and I have a question that 3 of my friends could not answer. The below are taken from the engine (sadly the Pokémon Essentials' Wiki seemed to be gone, at least of this post) but for the life of me I can not figure out what they are. I was looking around so I could add more colored text for when characters spoke (\b gives blue text while \r gives red) and figured it was tied to the above. But when we searched the codes don't yield any colors at all. One suggested it was code only RPG Maker used so....does it? The question - What form of code are those colors and how can I add more? Further more when I used \c I got pink text? Can you upload the script so we can take a look at it? The pokemon essential website is down and most link are just redirect from there. For your last question, \c refers to the 6th color on game window picture, which in this case I believe that's pink. I'm not sure how to export scripts so I copied it into a txt file. And by window picture do you mean the image below? My bad, the window picture that I mentioned don't exist on XP, it seems. The one in XP didn't have those color inside them. So, instead of referencing to the window picture, they have the color list listed inside the script. I'm sure you could just expand those value and add your desired color in. BTW, I also took a look at the script. The "color" stuff you mentioned above is used on getSkinColor method, but the method is not used anywhere inside the script that you gave. Are you sure that's the whole script? Yes. But I'll link the engine so you can look. The ".2" I was told is a patch but I don't see it. Anyways all the scripts are in there. And where is that color list located at exactly? Your file got taken down, it seems. Perhaps next time you upload the essential project, you should obscure the filename into something weird or unreadable at all. The color list is on Window Base if you search it on a fresh project. They seem to be up for me..
And I see. Well Coloring the text shouldn't be hard to figure out but I just can't locate how to do it with this. EDIT: I reuploaded the files with a different name. I figured it out! Well, actually no. I still have no idea what "<c2=7E105D08>", is, but thanks to the below link I learnt that simply replacing the code with HEX, I can easily add and edit each text color. Glad that you got it worked out. RRGGBBAA, RRGGBB, 16-bit RGB, and Window_Base color numbers. Color specification where the first half is the base color and the second half is the shadow color. 16-bit RGB is supported.